Eagle County is split over two congressional districts with two representatives – Democrat Joe Neguse (CD2) and Republican Scott Tipton (CD3) — who have dramatically different ideas about how public lands should be managed. That divide has never been more on display than it was Tuesday during a House Natural Resource Committee Hearing on the Colorado Outdoor Recreation and Economy (CORE Act) – a sweeping wilderness protection and special management bill that protects 400,000 acres of federal lands across Colorado, including areas of Eagle County such as Camp Hale. 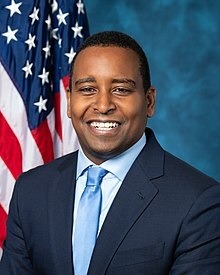 Neguse, the newly elected congressman for CD2, which includes Boulder and Fort Collins on the Front Range but also reaches up into Summit County and part of the Vail Valley, introduced the CORE Act along with Democratic Sen. Michael Bennet in January. Republican Sen. Cory Gardner has not backed the bill, and neither has Tipton. With Democrats regaining control of the house for the first time since 2010, the wilderness bill that includes four previous proposals finally got a hearing in a legislative body that under GOP control was long opposed to more restrictive designations prohibiting motorized travel and resource extraction such as mining and oil and gas drilling on U.S. Forest Service and BLM land. “I’m proud that the CORE Act was crafted by Coloradans over a decade of collaboration,”Neguse said Tuesday. “This bill comes with input from our local elected officials, outdoor recreation businesses, conservation groups, ranchers and sportsman. Tipton, who was swept into Congress in 2010 during the anti-Obama Tea Party wave, has long favored more diverse uses of federal public lands that encompass much of his sprawling district, which divides Eagle County but also includes most of the Western Slope all the way to the Utah border. He has a history of supporting mineral extraction proposals on federal lands. Although Tipton ultimately backed the Hermosa Creek wilderness proposal – the last major Colorado wilderness bill that passed in 2014 – he was embroiled in controversy in 2016 over his backing of an oil and gas bill in the Thompson Divide area near Carbondale that was allegedly authored by a Houston oil company owning leases in the area and donating heavily to Tipton. So on Tuesday, Tipton testified and questioned witnesses at the CORE Act hearing, and he entered into the record an article by the Glenwood Post Independent about the Garfield County commissioners opposing the CORE Act’s permanent removal of the Thompson Divide from consideration for mineral leasing. Those commissioners also have a long history of backing oil and gas operations in the second most drilled county in the state – behind only Weld County. Eagle County supports the CORE Act, and commissioner Kathy Chandler-Henry has met with members of Colorado’s congressional delegation, including Gardner, to express that support. Tipton kicked off his testimony by asking if he could ask Neguse some questions about the bill but was told to talk to his fellow Colorado congressman outside of the hearing process and to focus on the actual witnesses testifying on the bill. Tipton on Tuesday did acknowledge he’s heard from many supporters of the CORE Act. 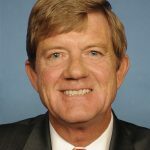 “We’ve heard that there is and I’ve spoken to a lot of folks that are supportive of the concepts that are in the CORE Act, but I think that it is important to note that we do still have differing opinions that are in my district that may not have had their voices heard in development of some of this legislation,” Tipton told the committee. He then went on to offer up letters of opposition from the Colorado Wool Growers Association, the Colorado Off-Highway Vehicle Coalition, the Colorado Snowmobile Association, the Trail Preservation Alliance and the timber industry-backed Intermountain Forest Association. Former Summit County Commissioner Dan Gibbs, now head of the Colorado Department of Natural Resources, testified in favor of the CORE Act on Tuesday.